Do this by disabling (commenting-out) the WordDelimiterFilterFactory class in the schema.xml. Do this by adjusting the 'MinGramSize' and 'MaxGramSize' options in both the schema.xml file and the config_solr.php file. You can either adjust the values to your needs or disable the option altogether. Step 2. Locate any reference to 'MinGramSize=4' and 'MaxGramSize=15' and adjust the value or comment-out the option to disable it. Step 4. Open the config_solr.php file. Step 5. Locate any reference to 'MinGramSize=4' and 'MaxGramSize=15' and adjust the value or comment-out the option to disable it. Step 6. Save and close the file. Step 9. 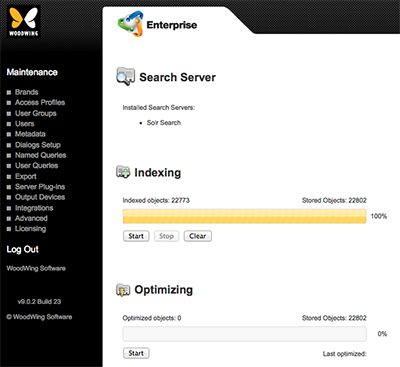 Re-index Solr from the Search Server page in Enterprise Server. Step 5. Restart Tomcat (it might also be needed to restart Apache as well).